Thailand and Amazon adventures! Experience travel like a native. Explore ruins, see monastaries, ride elephants, and visit the local tribe. Meet saffron robed monks and visit hill tribe villages. Travel with experienced Thailand adventure guide David Michael Scott on this jungle adventure in Northern Thailand. We will spend a day exploring the Buddhist palaces of Bangkok and a day on the beach before heading north to Chiang Mei. From there we go whitewater rafting in the mountains for two days while sleeping in a small mountain village. Then we embark on a two day jungle trek and elephant ride through the Karen hill tribes. The following two days are a “choose your own adventure” based out of the city of Chiang Mei. Potential activities include: touring Buddhist temples, mountain biking, zip lining, cooking classes, shopping at the “night market”, getting massages, or a new tattoo. Our remaining days will be spent in meditation at a rural Buddhist monastery. In country transportation, lodging, and four days of meals are included. Allow an extra 150 to 300 dollars for meals not included. Paramaribo, Suriname, One of CNN’s “Fantastic New Year’s Eve Destinations”. Suriname is a little known country in South America that is still mostly covered by Amazon rainforest. The official language is Dutch, and the largest population demographic is East Indian and the second largest is African, the descendants of hundreds of years of slavery. 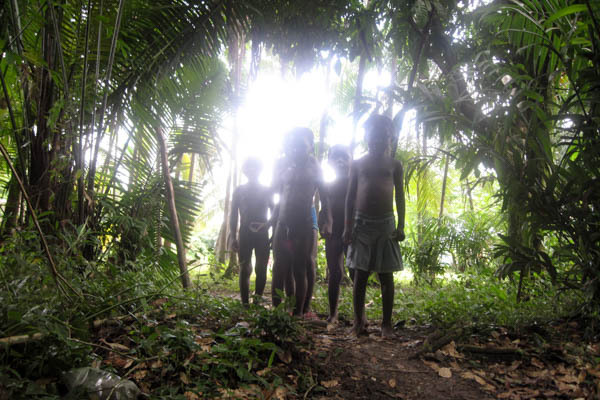 There are still over 50,000 ex-African slaves living in tribal communities in the Amazon rainforest. Collectively they are called the Maroons. On this adventure we will spend a wild New Year’s Eve in Paramaribo before leaving on a six day journey up the Marowijne River to the villages of the Ndjuka clan of the Maroon people. We will travel around the interior by small plane and motorized boat. We will stay in multiple villages, dance at a local party, and sleep in hammocks. Daily yoga and meditation are included as is six days of meals. This adventure is not for the faint of heart, but very few people will ever get to see what you will see on this trip.